The more or less hexagonal scars that fallen fronds leave on its trunk and the exceptionally thick, black bases of the stipes are generally sufficient to identify Cyathea medullaris. Its trunk may be up to 20 m tall and about 60 cm in diameter at its thickened base, but more slender higher up. It has 20 to 30 fronds, slightly curving and from 2.5-6 m long by up to 2 m wide. The upper surfaces of the fronds are dark green and shiny and the under-surfaces pale. The tallest and noblest New Zealand tree fern. Trebrown hortícola viveiros ter seu Cyathea medullaris esporos de samambaia disponíveis, apenas £3.34 por pacote! Compre o seu esporos de samambaia agora, enquanto eles ainda estão disponíveis! 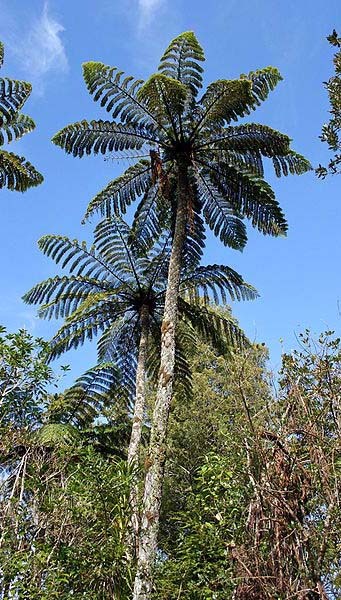 Cyathea medullaris is found from sea-level to 600 m in lowland and hilly forests throughout the North Island and in the South Island from Marlborough Sounds and Nelson to southern Fiordland,on the west. On the east it extends to about Kaikoura, is rare on Banks Peninsula and is found sparingly in eastern Otago. 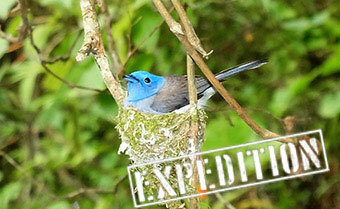 It also occurs on the Three Kings, Stewart and Chatham Islands. Cyathea medullaris Sobreposição de imagens ©2019 Trebrown - Não não autorizado re-distribuição.